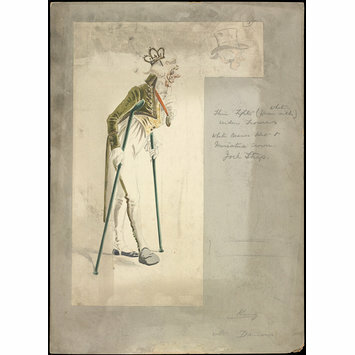 Costume design by Comelli for the role of The King (King Ivory) in The White Cat, as performed at the Theatre Royal Drury Lane on 26th December 1904. Drury Lane Design Collection. 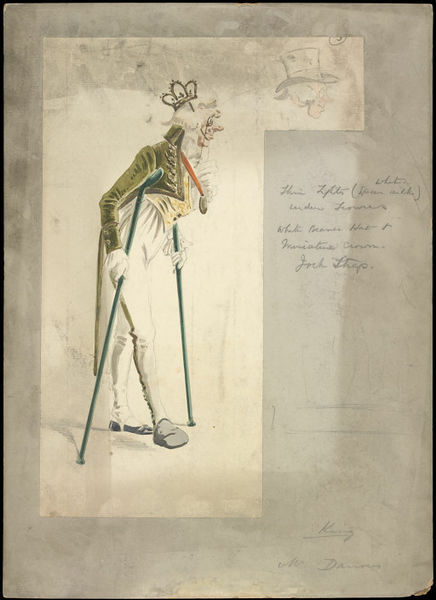 Costume design by Comelli for the role of The King (King Ivory) in The White Cat. The king wears a green tail coated jacket with white trousers, a medal, monocle and crown. 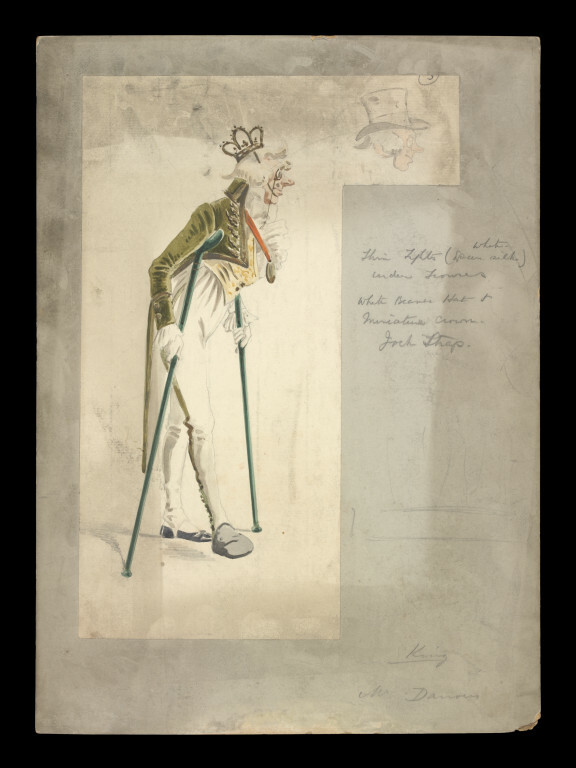 He stands but supports himself with two emerald green under-the-arm crutches. Written in pencil on front of work at bottom edge. Notes are also written in pencil alongside design.